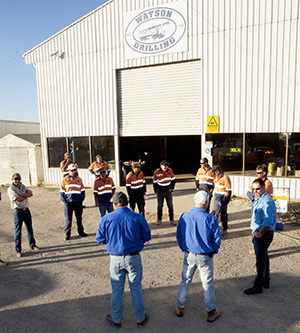 Watson Drilling encourages employees to develop their personal and professional potential. Watson Drilling work with our employees to develop career paths that empower them to develop their futures, and to grow with the Company. The key to supporting our strategic focus of organisational growth is to attract the right staff with the right skills. We work towards enhancing these skills to benefit both the individual and the organisation. The identification of suitably qualified staff enhances our highly skilled workforce to meet significant demands of our projects. We continue to build on our commitment to providing quality service safely to our clients. 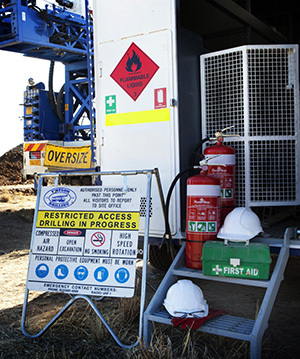 Watson Drilling encourages employees to develop their personal and professional potential. Watson Drilling works with our employees to develop career paths that empower them to develop their futures, and to grow with the Company. This career and personal development is a shared responsibility between each employee and the company. Watson Drilling encourages employees to take the initiative and suggest ways to develop their skills and broaden their experience. Watson Drilling facilitates this by providing employees with opportunities and tools to enhance their skills. All safety documentation is collated by the WHS department with lead indicators guiding the company in its pursuit of excellent safety practices. The safety culture within the organisation is of high standard, all incidents, near miss, hazard identification reports are immediately reported. You can trust us with your project knowing it is in the safe, competent hands of industry professionals. 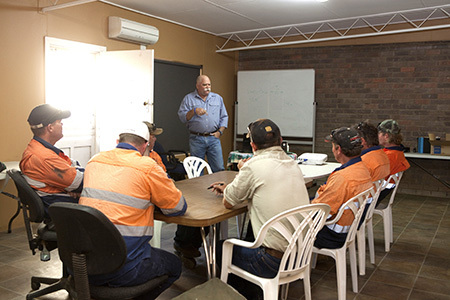 At Watson Drilling inductions, assessment and training are an important part of our organisation, our employees are inducted and assessed using Drilling Industry Competency Standards.